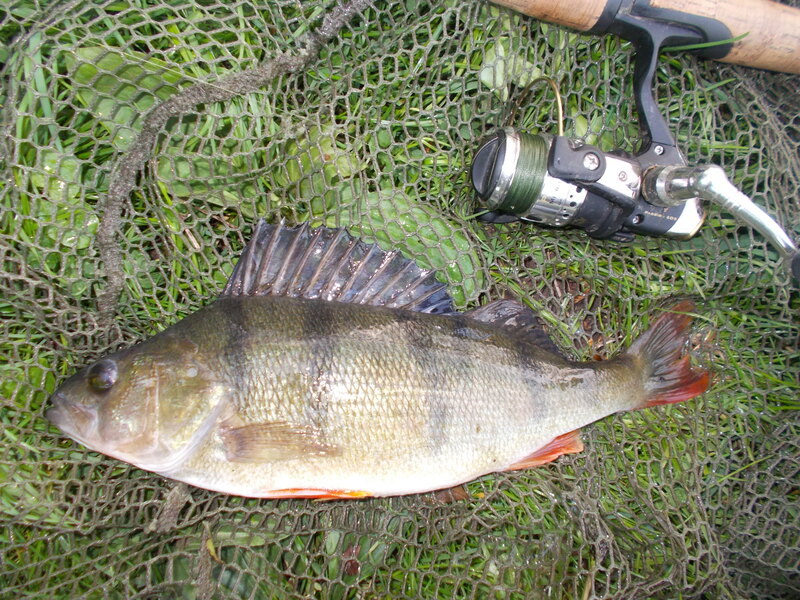 As my favourite species, perch are never far from my mind, and so this week I decided to get back on the trail of their pursuit. As well as being focused each week on species, I tend to do the same with methods. 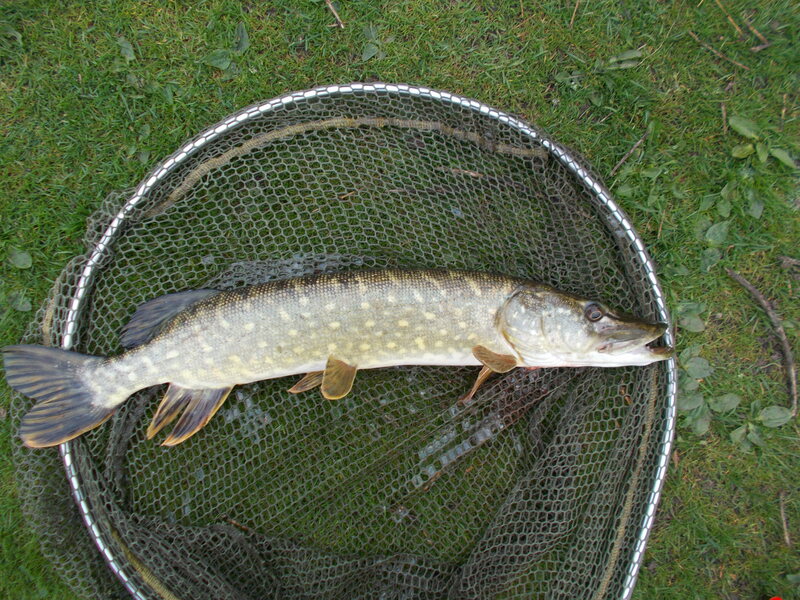 Hence the spinning rod put in a long awaited appearance, after having been on the subs bench for far too long. 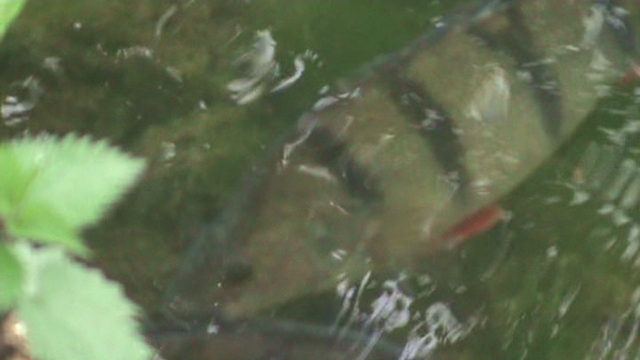 It also ended up being reduced by four inches, as you can see in the video, but that didn’t affect the fishing. I did a couple of sessions on a canal, the others on a stillwater. None of the outings were very long in duration, mostly about an hour or so. That’s the beauty of spinning, everything is ready to go, you turn up, the made-up rod takes seconds to assemble and you’re fishing. 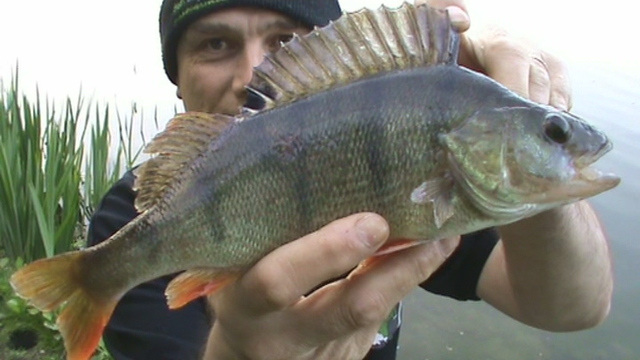 No swim preparation, no ground-baiting, no time ‘wasted’ on the bank. 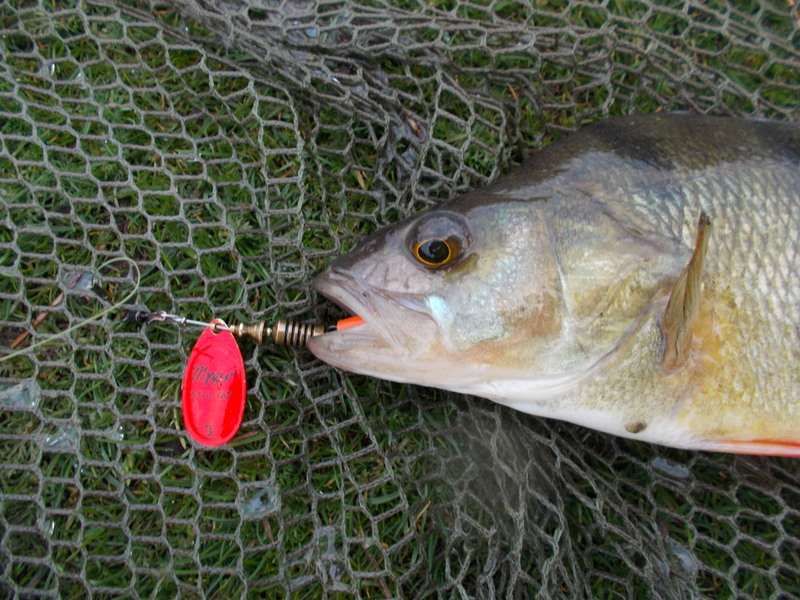 You cast out and from the moment the lure breaks the surface, you’re in with a chance. That’s why I managed three sessions on one of the days. On the stillwater for an hour at 6.15am, I then headed for a similar session on the local canal, followed by the last sixty minutes up to dark. Three sessions, albeit short ones in a day, anyone managed that before? On the subject of outings, I’ve been every day so far in 2014 and so I’m on track to fish every day of a calendar year, which was the only things-to-do-before-you-die box that I wanted to tick. Talking of box ticking, it’s because I can put the pen to so many, that I’m able to live the dream. I took out my first mortgage when I was 18, thus meaning I was totally rent-free in my 40s. Likewise, married and starting a family fairly early, meant I also had much more ‘freedom’ at the same time. Add factors like being semi-retired and above all a wife who has never stood in the way of my passion, I’m in a pretty decent position as far as pursuing my passion is concerned. Of course though I haven’t always been able to fish so much, and this is an important message I feel, especially to younger anglers. When I started work I often did six days, and long ones at that. Having a young family and being the bread-winner, you have to be responsible. Fishing has to take a backseat in many ways. It’s no good being on the bank if your kids are neglected and you’re on the verge of homelessness because you’re not facing up to your responsibilities.